When was the last time you “Cleaned house”? 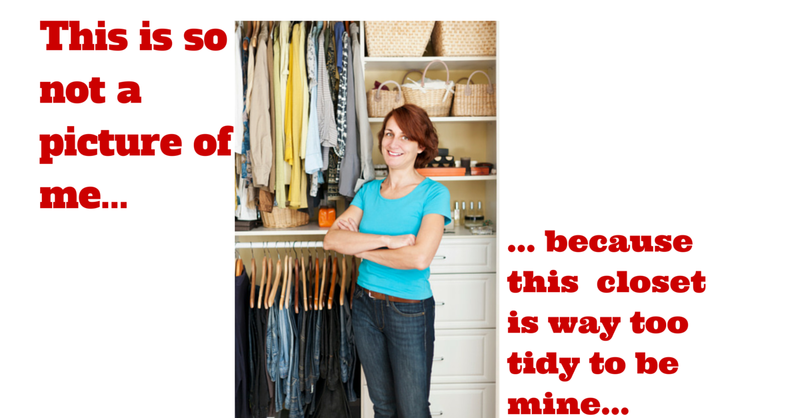 Not just organized yourself, but engaged in the liberating exercise of de-junking your life? If you are surrounded by piles of mostly meaningless stuff, perhaps it’s time to buck up and get on it. Your son’s Beanie Baby collection. The clothes you no longer fit into, but hope to. I’m not being facetious. Well ok, maybe a little, but I’m driving the point. I understand the angst involved in the keep/toss/sell/give away decisions because I have moved four times in five years, “Cleaning house” each time. The first was when, newly divorced, I moved out of our 4,200 square foot home and away from the mountains of stuff accumulated over 25 years of marriage. The last was in my move back to the Northeast last year when all I owned could fit in my car and an 8×6 ft storage pod. There was a world of difference in my state of mind between the upset of the first move and the freedom of the last. The difference was in the level of associated “importance” of those things that were, in the end, just things. It really is amazing how heavy things weigh when we think they matter, even when they don’t, and how light we feel when we let it all go. Some of us are forced to eliminate the extraneous in our lives through situational changes such as divorce, job loss, death of a spouse. Others choose to do it as part of an intentional shedding in an effort to simplify our lives. If what my friend Tony says is true, stuff falls into two categories; the things that matter and the things that are waiting to be thrown out. A very rational approach… but we still need to find the courage to begin the process. I referenced my many moves since my divorce in 2009. The first wore at my sanity, as I dispatched 25 yrs and 20 rooms of stuff in a 3 week period. The vetting process began emotionally and ended surgically. Vetting began with what I was keeping, the rest fell into several categories: Yard sale, give away, online auction and throw away. I worked my way through furniture, my children’s drum kit, our ping-pong table, our dishes, our tools, books, glass figurines…. while painful, those were the easier things to release. There slowly amassed a 6th category, the “Kryptonite” items. Things that hurt too much to deal with… like my hope chest (full of memorabilia), my sons’ childhood artwork and awards from school, our paintings and pottery, wedding album, etc. So the conversation was like this:: Toss, sell, toss, sell, give away… damn (kryptonite). Over and over until I’d worked through everything. My dear friend Ellen offered to take the more sensitive things “Until I was ready.” Fast forward 4 years, and my decision to move back to the Northeast, and I was finally ready to confront and deal with those things. Again, keep toss, keep, toss, give away… it was a brutal but complete process. After Face-timing with my sons about which favorites to keep, and making courageous decisions about what little I still wanted from my old life, I’d gotten us down to maybe 6 boxes, and packed up my car. I was SO over it all. As I turned to give Ellen a hug, she said, “You forgot a box.” I could not believe it… I’d been through everything. But yes, one small, flat box left. Thinking it was one more box of baseball cards, I pulled it open and almost dropped it when I found… my wedding dress. Ironic, right? The dress lovingly sewn by my cousin Anne, still a beautiful, delicate, almost ethereal ivory. An iconic symbol of marriage; and of course, in my case, the symbol of a marriage ended. I admit it. I totally imploded. It was more than this human could bear. What ensued was a tug of war over that box that will always remind me of the power of friendship. “I should keep this, right, Ellen?” I’d ask, pulling it towards me, “You don’t need it any more, Lisa,” Ellen said, taking it back. “But I should keep it, right?” I’d plead, and gently she’d say, “No, you really won’t want this again.” Finally, the absurdity of the situation hit me, and I realized that what Ellen was trying to say was this: the dress was not important any more. It had no meaning. It was just a beautiful dress… and someone else could use it. That realization clicked the entire process into place for me. What were things, really? Nothing. It was me, and how I felt about myself and my new journey that was important. I was sobbing as I drove away… sobbing, but feeling more powerful than I ever had in my whole life. There are two stories you can tell yourself when you shed your old things; stories of loss, or stories of change. The bravery of letting go of the things that don’t matter will enable you to find room for new things, a new YOU. Space to create a new way of moving forward without the weight of the past. I have talked with other people who need to undertake this often monstrous task, but find it too overwhelming. I’d suggest you grab a friend, take a deep breath and get moving. 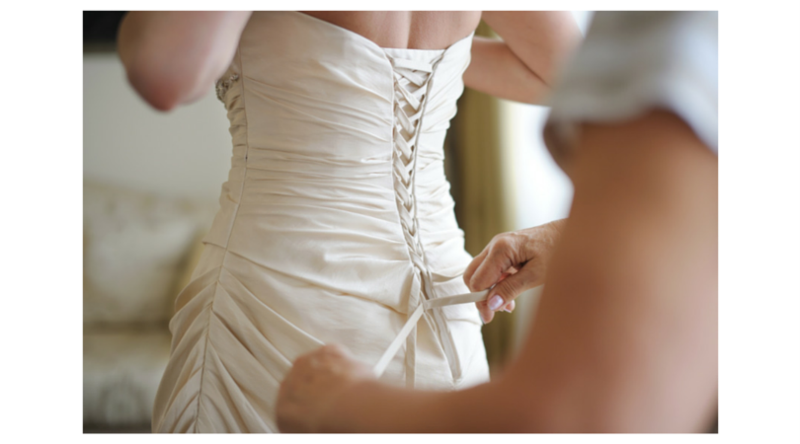 While you will have “Wedding dress” moments, you too will find your way through the mess. You can do this. Do you have stories of your own to share related to cleaning house? I’d love to hear them. And as always, you will find comfort in the brave community here. We’re all in this together. Be brave, let go, tidy up. You could not have said it any better than that Lisa. Trust me, you’re not alone with that life experience. Keep up the good work!!! !